It’s spring in the Carolinas! Yes, I know that according to both the meteorological and astrological definitions, it is, in fact, spring, so perhaps it shouldn’t come as a surprise. But for those of you who somehow escaped the pain of this winter, let me explain. After a slightly colder than normal, but not so terrible, December and January in Chicago (and the rest of the Midwest and Northeast), we all began to feel some hope that the worst might actually be behind us. Our hopes were dashed, however, as the snow began to fall on January 31, and didn’t stop until February 2nd, leaving 22 inches on the ground, and my SuperBowl party unattended. February continued to be cold and snowy, and March “came in like a lion” as usual. Of course, that saying ends with, “and goes out like a lamb.” So on March 23, despite a little snow falling, I left for the airport without a second thought. When I got there, it didn’t take long for me to see I was in trouble. My flight still was scheduled for an on-time departure, but the rest of the airport was at a standstill. The departures board was lit up with delays and cancellations, and the terminals looked like a campground. To make a very long story short, eight hours later I ended up on a flight to Charlotte instead of the planned flight to Charleston, as it was the only flight leaving that night that would get me anywhere close. So, as I said, it’s spring in the Carolinas! On my drive the next morning from Charlotte to Charleston, I got to see spring in full bloom. 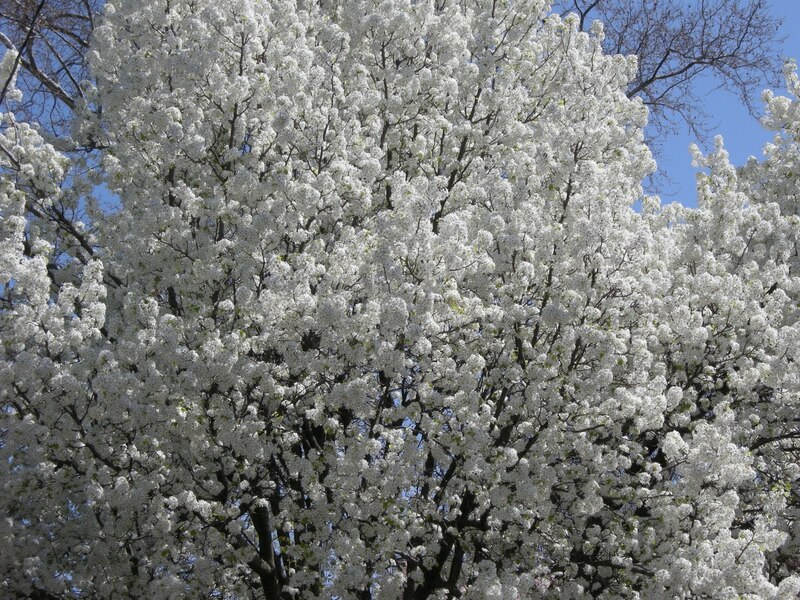 The woods were green with buds and the flowering trees were already purple, yellow, and white, especially the Bradford Pear trees that filled the landscape with blossoms. My first stop on this trip was at Triple T, a NationaLease Developing Member. I met with Stewart Brown and Marc Tarbay. Since Marc is new to Triple T, we took some time to review a number of the programs available to our members. We discussed our after-hours call center, NationaLease Road Rescue, and the options available to members to use this to help provide 24/7/365 breakdown coverage to their customers, as well as to other members. We also discussed some upcoming events, including the Maintenance Managers Meeting on May 13-15 in Fort Lauderdale, and our Introduction to Full Service Lease course on June 3-4 in Chicago. I got a full tour of their shop in Summerville, SC, before making the pretty drive back to Charlotte. I headed back toward the airport, and got there just in time to pick up Jessica Boss, Director of Products and Services for NationaLease, who would be joining me on the rest of my trip. The next morning started with a visit to McMahon Truck Leasing, a NationaLease Member. We were greeted by Fred Schmidt and were able to congratulate him on his recent recognition for achieving NationaLease Masters Club status for 10 years in a row. He is only the third person ever to achieve this honor. Jim Smith and Leon McLean joined us for a tour of the facility, then sat down to chat about numerous topics. We talked about our NationaLease-branded classroom at Universal Technical Institute. McMahon is one of the NationaLease members who have their logo prominently displayed in the classroom that holds the Preventive Maintenance course. Over 1,000 diesel technician students have attended the mandatory course in the past year and have most likely spent many of those hours gazing at the NationaLease member logos on display! We also worked on a plan for some training for the new facilities McMahon has recently added. 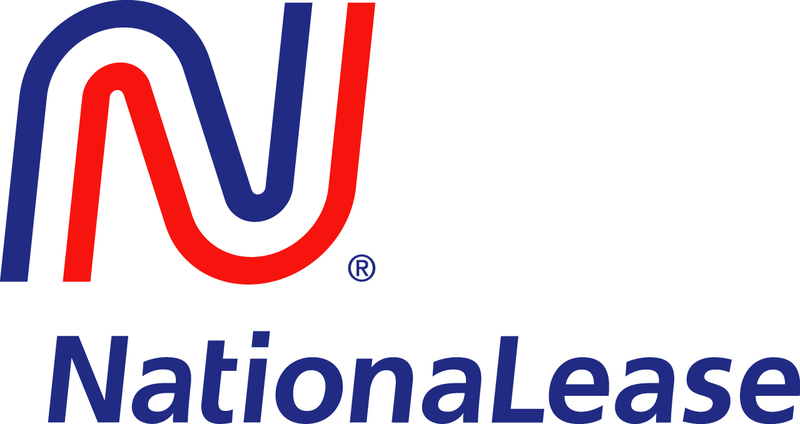 NationaLease offers an on-demand training for service professionals that is available to all members and that we will be customizing to support McMahon’s training goals. We had to wrap up our visit, as Fred and Jim had a sales appointment to attend, as would be expected for one of NationaLease’s top salespeople! We had some time before our next appointment, so Jessica and I went back to the hotel to get a little work done. As noon approached, we pulled out our phones to search for a nearby spot for a quick lunch. Miguel’s Mexican Restaurant was just down the street and had good reviews, so we drove over. To be honest, when we drove up to the restaurant, we had some serious second thoughts. The building looks like a house with an attachment that clearly had some other unknown use in a previous life. Despite our initial misgivings, we decided to take a chance. Our risk paid off with huge portions of good, cheap, authentic Mexican food. I guess you really can’t judge a book by its cover! Before going back to the hotel, Jessica and I decided to see some of the city. As I drove, Jessica searched reviews to find a unique place for dinner, and settled on The Fig Tree. It is located just a few minutes away from the business district, but the Historic Elizabeth neighborhood seems worlds away from the glass and chrome of Uptown. Elizabeth takes its name from Elizabeth College, a small Lutheran women’s college founded in 1897 on the present-day site of Presbyterian Hospital. Elizabeth began to develop rapidly after 1902, when a trolley line was completed, and was annexed in 1907. 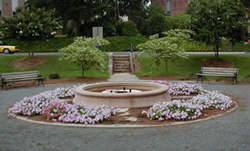 Home of Independence Park, the first public park in the city, Elizabeth became one of the most fashionable residential areas in Charlotte in its early days. The Fig Tree is in one of these beautiful old homes, and the dining areas are in the rooms and patio of the house. It wasn’t quite warm enough to sit outside, but we could still enjoy the view out the window as we had a delightful meal. The next morning we headed north from Charlotte to North Wilkesboro, where we met with Charles and Steve Ellis of Fleet Master, Inc., a NationaLease Member. We talked about the changes happening in their market as some industries and business are moving out of the area, and others are moving in and expanding. Of course, changes always bring new opportunities, so we discussed some of the programs NationaLease offers to help our members take advantage of those opportunities. We talked about our Supply Management programs and how they could fully utilize the cost-savings available to them. We discussed some insurance options available to NationaLease members, including the program offered by Cottingham & Butler. We also talked about the variety of options available for capital equipment through our NationaLease Fleet Partnership program. 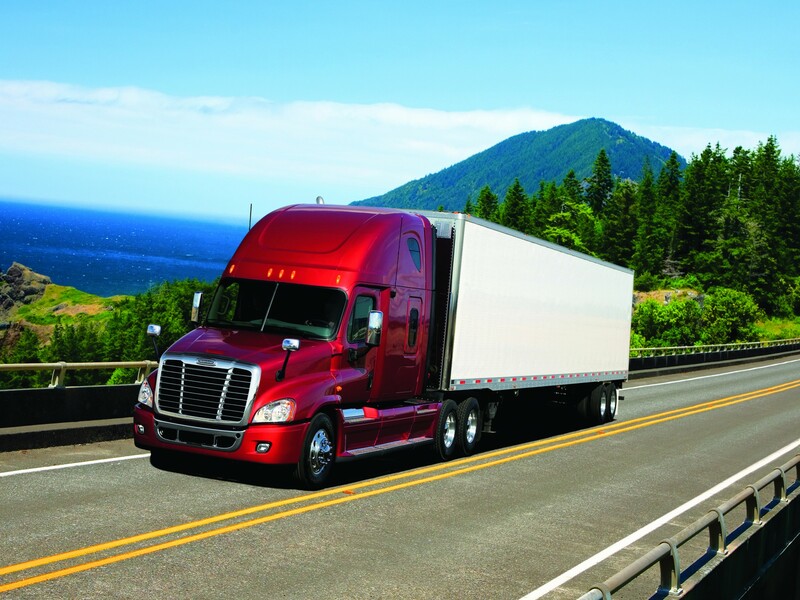 NationaLease members certainly have lots of available solutions that they can offer to their customers, both in the equipment itself, and the service that goes with it. The drive back south from North Wilkesboro to our next stop in Claremont took us off the interstate and through beautiful rolling hills. We arrived at Catawba Rental Company, Inc., a NationaLease Member, just in time for lunch, and Danny Abernathy took us to the nearby Rock Barn Golf & Spa. Named after a Pennsylvania style bank barn built in the early 1800’s and now listed on the National Register of Historic Places, the Rock Barn Golf Club was built on the site in 1966. In 2003, it hosted its first PGA senior tournament. Every year since, Champions Tour favorites do “Battle at the Barn.” We had a chance to chat over lunch about some of the new programs and services recently announced at the NationaLease Spring Business Meeting in conjunction with TRALA’s Annual Meeting. On our way back to Catawba, Danny drove us around their Claremont operation and showed the expansion they have gone through over the years, as well as some of their future plans. On our last night in Charlotte, we decided to try our luck once again with online reviews, and Jessica chose a restaurant called Vivace. It is located in a brand new retail and residential complex in Midtown Charlotte. On a Thursday night, the whole area was buzzing with activity as residents came home from work, coworkers met in one of the many hot spots for an after-work drink or dinner, and shoppers took advantage of the beautiful evening to browse in the shops along the way. Inside the restaurant, the atmosphere was very modern and lively, and the menu was filled with Italian dishes with a unique flair. The online reviews didn’t disappoint, as our dinner was delicious. We decided to make it an early evening, and as we left the restaurant, the sidewalks, patios, and restaurants were even busier than when we arrived. It’s too bad we both had flights to catch in the morning, as it looked like the Charlotteans were just getting started. By the time I arrived in Chicago, all of Monday’s snow was melted, and although there were no buds or flowers on the trees, I had hope once again. Isn’t that really what spring is all about after all? It’s a time of hope and the promise of good things ahead. And why shouldn’t I be looking toward a promising future? Our members certainly are. Every conversation I had this week was about the good things ahead–new employees, additional locations, more hiring, new equipment, expansion—it seems there is much to look forward to. So whether spring is already in full bloom for you, or you still have a few piles of snow that haven’t quite melted yet, have hope. Spring is here, and it is sure to bring good things your way.